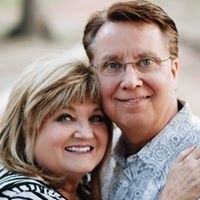 Special Guest Ministers Spencer & Cyndy Nordyke at Change Pointe Church on Sunday, April 28th @ 10 am. Spencer grew up in Grand Rapids, Michigan and moved to Texas at the age of 17 to attend Bible College. He loves helping people meditate through the Word of God so they can unlock God’s destiny for their lives. He has been playing guitar since high school and loves to take people into the presence and glory of God. He teaches and preaches with a prophetic anointing that is needed in the church today. Cyndy is a true Texas girl and enjoys helping people realize how they can be practical in spiritual things. She shows them that prayer is more than just talking to God – that you can stay tuned in to get answers in every area of your life. She has the gift of administration and also runs Nordyke Elite Travel. They are ordained through Eagle Mountain International Church/Kenneth Copeland Ministries in Fort Worth, Texas. Their ministry background includes pastoring a church for 10 years, Associate Pastors, Youth Pastors, Conference Hosts, TV programs and hosting the youth meetings for the Kenneth Copeland Believer’s Conventions for 10 years. Spencer & Cyndy have both taught courses in Bible Schools and are excellent teachers. They have been married over 40 years and live in the Dallas/Fort Worth Metroplex. They have 2 awesome sons & 2 beautiful daughter in laws with 8 amazing grandchildren. Their life is full of adventures.